Dr. Green grew up in the Dallas Fort Worth area. He attended Idaho State University where he earned his bachelor’s degree in zoology. He and his young family moved to Philadelphia, PA, where he attended Temple University’s Kornberg School of Dentistry and earned his DMD. After a one-year internship in oral and maxillofacial surgery at the University of Medicine and Dentistry of New Jersey in Newark, NJ, Dr. Green began his four-year residency in oral and maxillofacial surgery at Loma Linda University Medical Center in Loma Linda, CA. While there, he received extensive training for wisdom tooth extraction, dento-alveolar (tooth and jaw) surgery, dental implant surgery, facial trauma reconstruction, TMJ surgery, and orthognathic (upper and lower jaw repositioning) surgery. 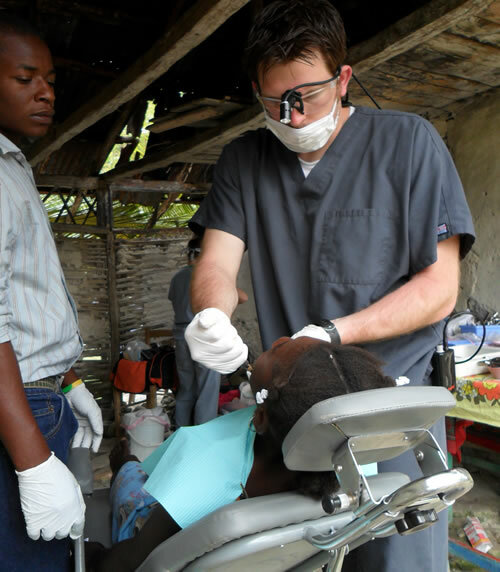 During dental school, Dr. Green helped organize and participated in a dental humanitarian mission to Haiti for two consecutive years. While there he provided essential dental care to those displaced from their homes due to natural disaster. When not in clinic, he also volunteered for ongoing cleanup efforts. Dr. Green working in the dental clinic in Haiti. 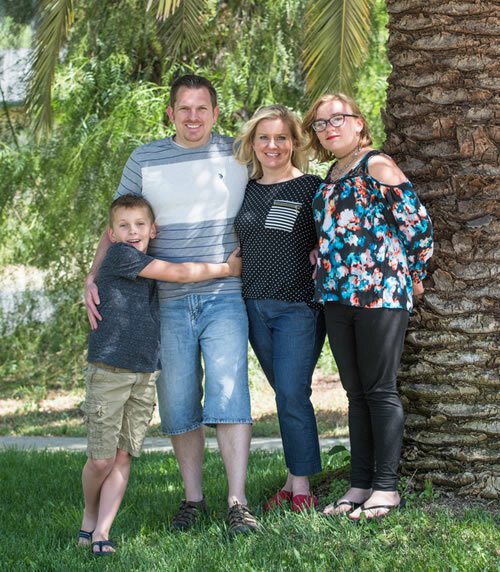 Dr. Green and his wife, Teresa, have two children with whom they enjoy spending time in a variety of activities. Dr. Green has many interests, including furniture building, a variety of outdoor activities, and he is also an impressive baker! Additionally, Dr. Green is fluent in Spanish, speaking, reading and writing. 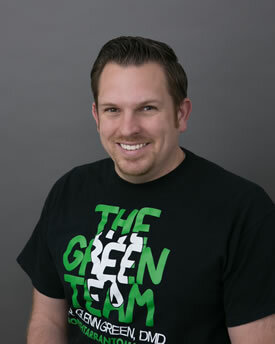 After ten years living from coast to coast, Dr. Green is excited to return to his Texan roots!